He is a real eye catcher! 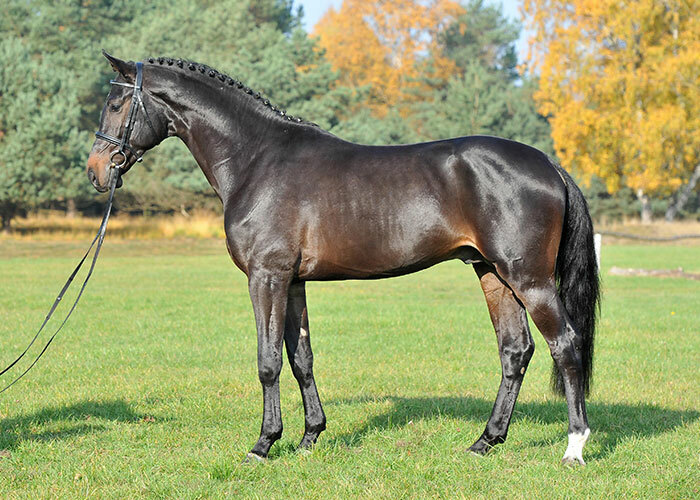 Strongly characterized by his grandfather Argentinus, maternal line 4191603, Light My Fire astonished the spectators in the Niedersachsenhalle in Verden. On the occasion of the Hanoverian licensing in 2014 he presented himself with extraordinary talent and great manner. Light On, Stakkato, Argentinus – this combination has already proven its worth. With Light My Fire’s mother, the state premium mare Sarieka, Light On brought the Hanoverian premium stallion License and with his grandmother, state premim mare Anabell, also the licensed stallion Los Angeles. Light My Fire gained the highest score of 137 at the performance test in Neustadt Dosse for jumping and 125 for dressage. 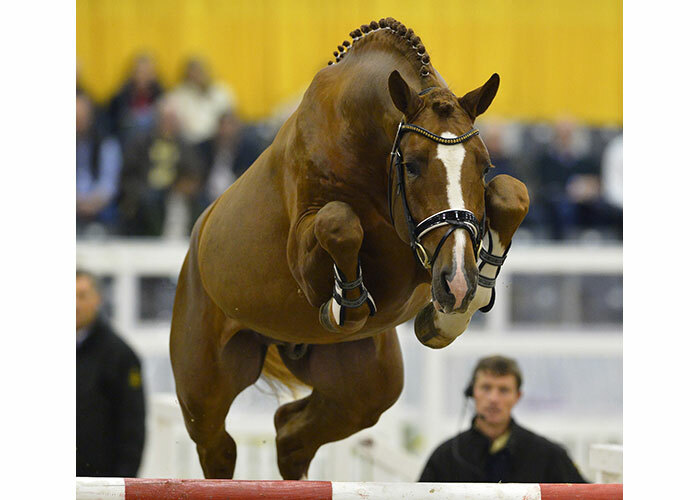 This stallion not only held top position amidst Hanoverian stallions in his year but became best young stallion with jumper talent in Germany.Through the mother line of Neumunster the expectations in this handsome chestnut stallion are highly secured. 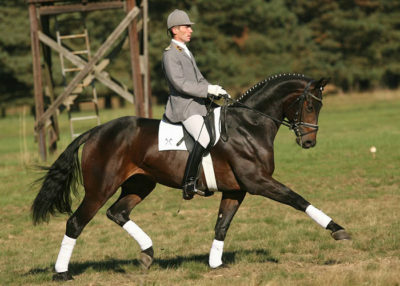 This motherline has been positive in the past with among others, the stallion San Brazil. 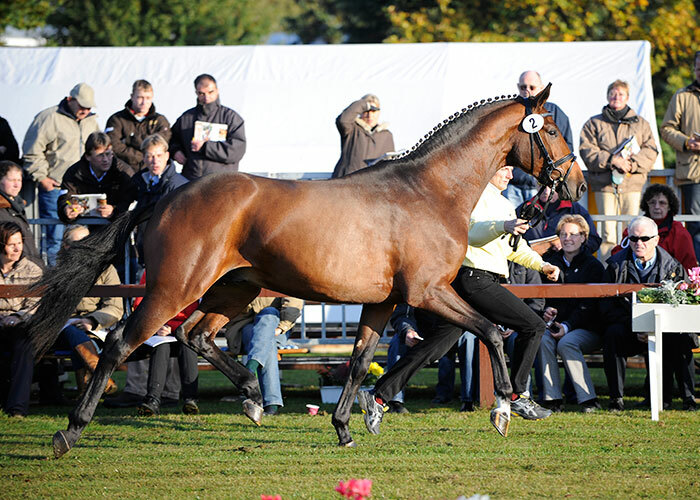 Light My Fire – a jumping stallion who has already lit a fire among the experts!